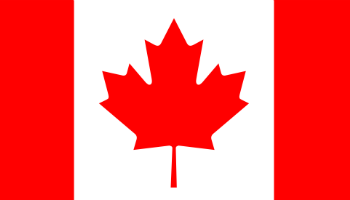 Website Languages: English, French and Spanish. Review Summary: WorldRemit is a convenient service that allows people to send money online to friends and family living abroad in form of bank deposit, cash pick-up, Mobile Money, or mobile airtime top-up; but it has many amount limitations for most of the countries. Recommendation: Similar to Transferwise. 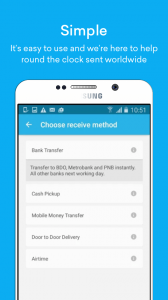 Fair option for cash remittances, and not halfway as cheap as Currencyfair for bank transfers. The fee structure differs a lot from country to country, and even more when picking the destination and way of receiving money (Bank transfer, cash pickup, airtime, etc.). So, in order to find out the exact fee for your needs, you will need to use the “Send from / Send to” calculator on their website. 2.99 Pounds per transfer from the UK. 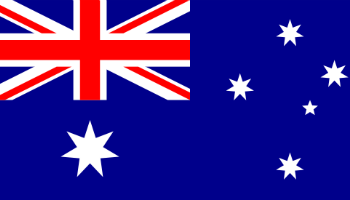 3.99 Australian Dollars from Australia. 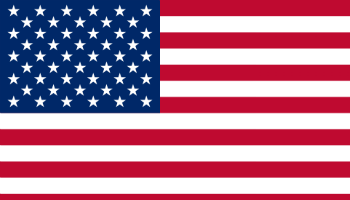 3.99 US Dollars from the USA. 9.99 Canadian dollars from Canada. 3.99 Euros from a European country. 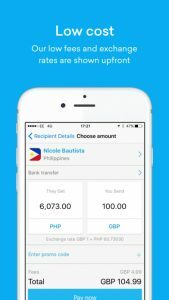 WorldRemit offers money transfers to more than 110 countries and allows transfers from 50 countries, but because of the many limitations and different options for receiving money, they don’t tell exactly which currencies they offer. You will have to, again, go to their calculator and simulate your desired path (Send from -> Send to) in order to find out if the local currency is supported. I will give you an example to better understand why you really need to use the calculator every time before making any plans: Sending from the UK to Romania. Bank Deposit – You can only receive the money in Euros. 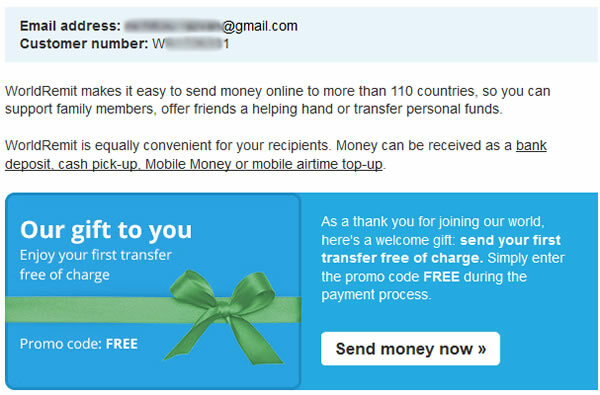 Cash Pickup – You can only receive the money in Euros. 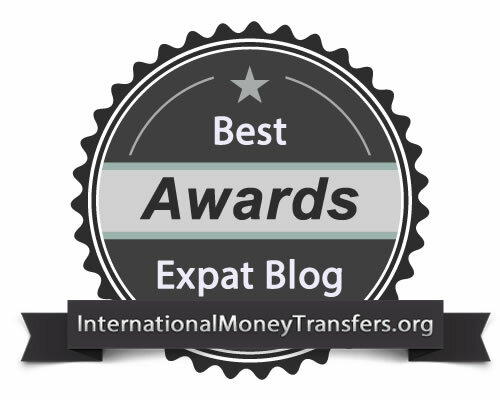 Mobile Money Transfer – You can only receive the money in RON (Romanian Leu). With six offices on 4 different continents, WorldRemit is clearly a company that can handle international clients from all around the world. This is truly important because every culture has its own differences and ways of doing business. If you read our guide on Business Etiquette Around The World you will see how different the Japanese and US business cultures are, for example. WorldRemit Ltd is authorized and regulated by the Financial Conduct Authority (FCA) under the Payment Service Regulations 2009 for the provision of payment services. This is a seal of trust, so you can know that you’re working with a real, registered, and regulated company and your money are safe with them. Globally, the use of mobile devices connected to the Internet has grown substantially in recent years. WorldRemit has also focused on developing an app for its service. At this point, it seems that all companies understand the potential and the huge number of clients whose only connection to the Internet is their mobile phone (especially people from African countries). Then you will be redirected to their homepage, where you can already access your account. In the meantime, you will receive an email where you will find a code for your first transfer (Promo code: FREE), which will entitle you to one fee-free transfer. 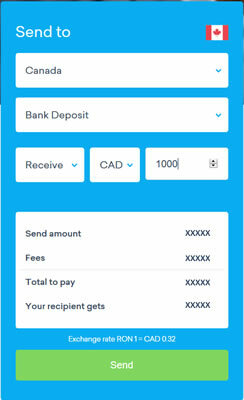 After you press SEND you will be taken to a new form where you need to add the recipients details like bank, branch name, account number, transit code, full name, full address, email address and the sending reason (Family or friend support / Purchase of services / Property payment / Sending fund to self). Click Next, and choose the payment option for the funds – usually the Debit/Credit card. 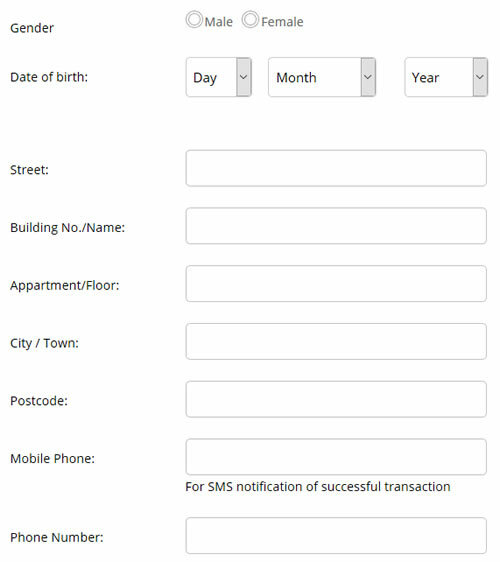 Click Next again and you will have to enter more personal details like gender, date of birth, full address, postcode and mobile phone number. And that’s about it. 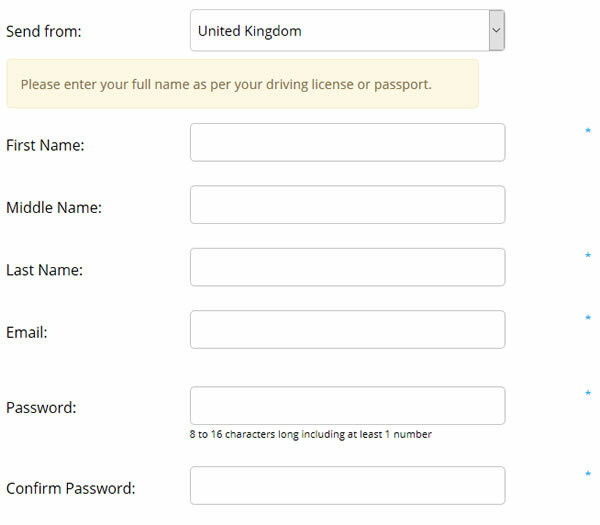 To be honest, I don’t particularly like their sign up process because it takes too many windows to enter your details. I think they could put more fields in their forms and reduce the number of steps because it creates the sensation of working too much for it. WorldRemit offers a News section on their website, where they publish all the new developments and successes of their service and platform. Every time they enter a new market, they announce it in this section, so keep an eye on it if WorldRemit does not yet support your country, so you can be updated about the progress. A great solution for those that want cash pickups but not the best for those that want wire transfers. But the global infrastructure and a great app make it an important player in the market.